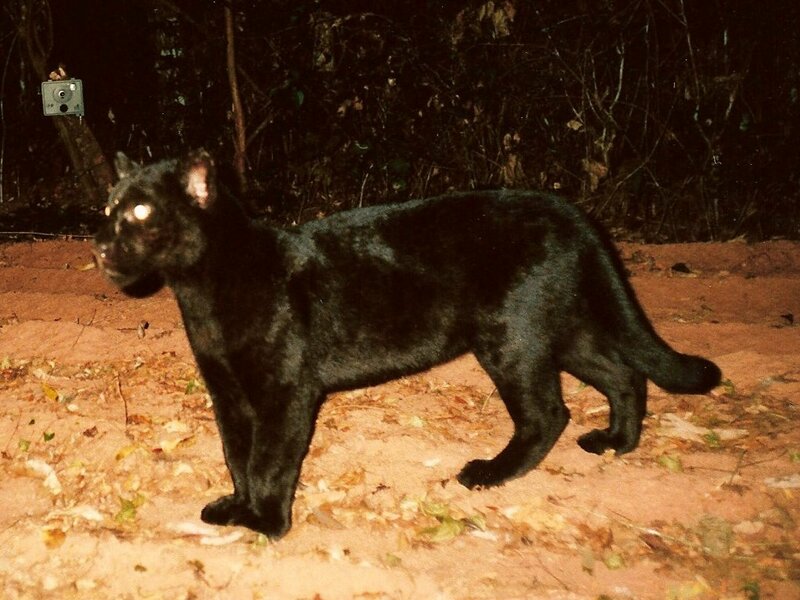 The Atlantic Forest of Brazil, where WeForest is restoring and reconnecting patches of forest, is home to one of South America’s most charismatic species: the jaguar (Panthera onca). The Forest also extends into Argentina and Paraguay and is one of the eight “hottest hotspots” of the world. The forest is considered a top priority area by most of the largest international NGOs (e.g. Word Wildlife Fund, Conservation International) due to the high level of biodiversity and endemism, that is, a large number of species that are found no nowhere else in the world. Tropical forests like the Atlantic Forest are home to most of the global terrestrial biodiversity, but have suffered severe levels of deforestation and have lost a staggering number of their large fauna. Only around 8% of the Atlantic Forest still stands. The loss of forests is not only a problem for our climate, but for jaguars and other large carnivores as well. Carnivores are the top predators of many ecosystems and have been exposed to extinction risk worldwide in large part due to global habitat loss and fragmentation. The jaguar is listed as near threatened by the IUCN and has become locally extinct and critically endangered in some areas and habitat loss and fragmentation are to blame. A recent paper co-authored by Dr. Laury Cullen of IPE, our planting partner in Brazil, found that around 85% of the jaguar’s habitat in the Atlantic Forest has been lost, leaving a mere 7% in good condition. Jaguars only inhabit 2.8% of the region and live at very low densities in most of the areas. Throughout the entirety of the Atlantic Forest, there are probably fewer than 300 individuals, scatted across small, isolated sub-populations. This is a serious concern because populations like this have high levels of inbreeding, lose genetic diversity at a very high rate and are at greater risk of becoming extinct in a short period of time. If the current trend continues, the Atlantic Forest will be the first tropical forest ecoregion to lose its top predator. This could have serious consequences for populations of other species in the Atlantic Forest and unpredictable consequences for the wider ecosystem. Top predators have a huge impact on the ecosystem as a whole and the extinction of the jaguar is expected to have severe consequences. However, there is hope. The paper identified seven Jaguar Conservation Units: areas with a population of male and female jaguars. These conservation units are valuable targets for conservation efforts because of the presence of a jaguar population and suitable habitat. Of these, three had likely over 50 individuals. 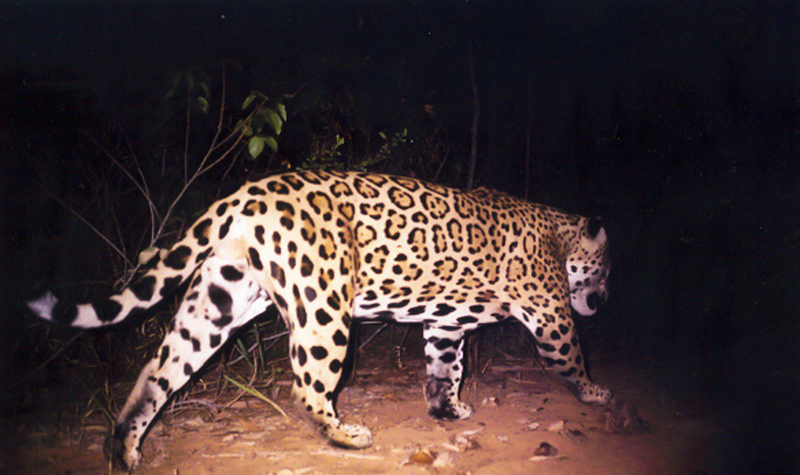 Five other areas were identified as Potential Jaguar Conservation Units: a population of jaguars was identified but the presence of both sexes was not detected. One of these Jaguar Conservation Units exists around the Upper Parana-Paranapanema area, where WeForest’s Brazil project is based, specifically in the Pontal do Paranapanema region. Here, the forest is degraded and fragmented but thanks to WeForest's forest landscape restoration, 403 hectares of forest are already being restored. In partnership with IPE, we are restoring and reconnecting the Atlantic Forest to assist the movement of fauna across the landscape and conserve wildlife, while combating climate change through the carbon capture of the forest. Camera trap footage confirms that jaguars are living in the area, including the Morro do Diabo State Park, which the paper reveals is home to a high density of jaguars. The survivorship of small sub-populations in the Morro do Diabo state park, one of the last strongholds of the Atlantic Forest and the target of WeForest’s efforts, is reason alone to be optimistic.